Nemo tents provide the outdoors protection you need. Backpackers and traveling campers need a tent that can provide a comfortable place to sleep wherever they go. With so many tent options available, it might be difficult to know which tent makes the most sense for you. Some tents leave lots of room for spreading out, while others fit just one or two people. 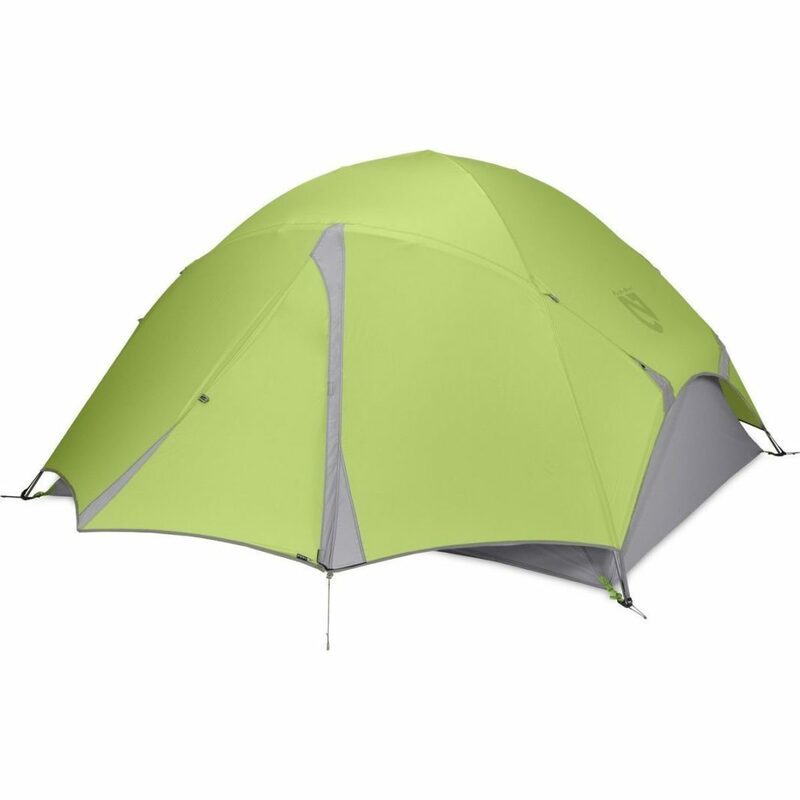 The best tents also include unique design aspects, such as storage space and waterproof materials. Nemo tents offer travelers high-quality shelters in almost any kind of environment. Read our article below to learn all about the Nemo Losi Backpacking Tent’s amazing features. 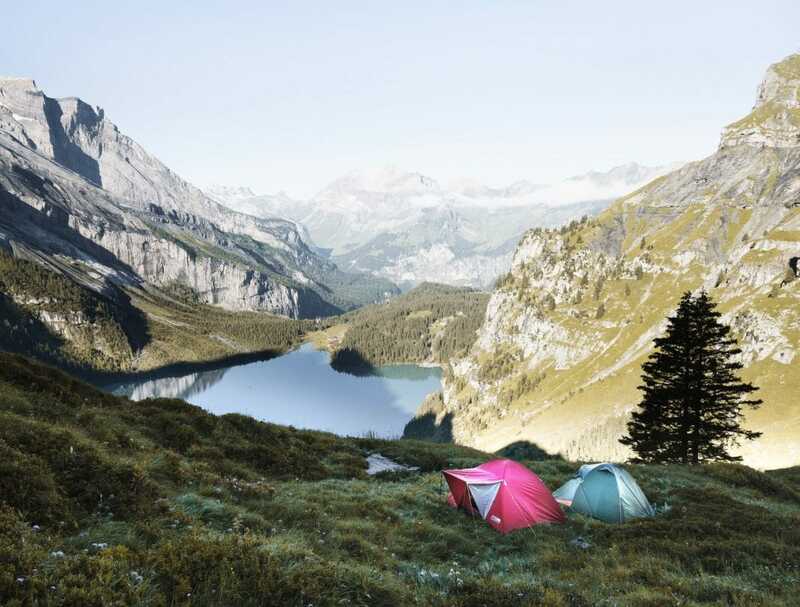 When you decide to go camping, one thing to consider should be how much space you need. Some tents only provide room for a few people, while others allow up to eight people to fit inside. If you’re traveling with a large group, you need a tent that can provide the extra space required. Many tents may promise tons of room but fail to live up to those claims. At the same time, you don’t want to spend money on a massive tent that you don’t really need. Thankfully, Nemo tents provide traveling campers with the perfect amount of shelter space. The Nemo Losi LS 3P Backpacking tent provides room for three without anyone feeling cramped. Or, if you’re part of a smaller party, the tent can fit two twin-sized airbeds, allowing for a cozier sleep. The tent’s height of four feet also means you can stand straighter inside the tent. You’ll be able to move around with ease, though taller campers may have to crouch more than others. Travelers will find this the ideal camping tent for their space needs. If you’re going to be traveling with your camping gear, you need a tent that doesn’t weigh much. Bigger tents may feel heavy and bulkier than smaller products. 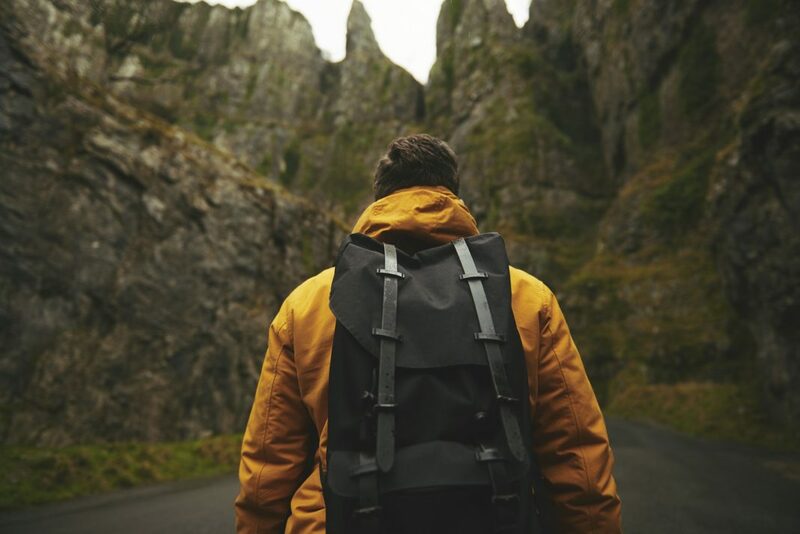 These can lead to strain on your back as you struggle to carry the tent from place to place. However, you also want a tent that doesn’t sacrifice quality for lightness. Tents that weigh very little tend to consist of flimsier materials, reducing the effectiveness of their protection from the elements. Nemo tents offer travelers lightweight products that don’t skimp on superior designs. 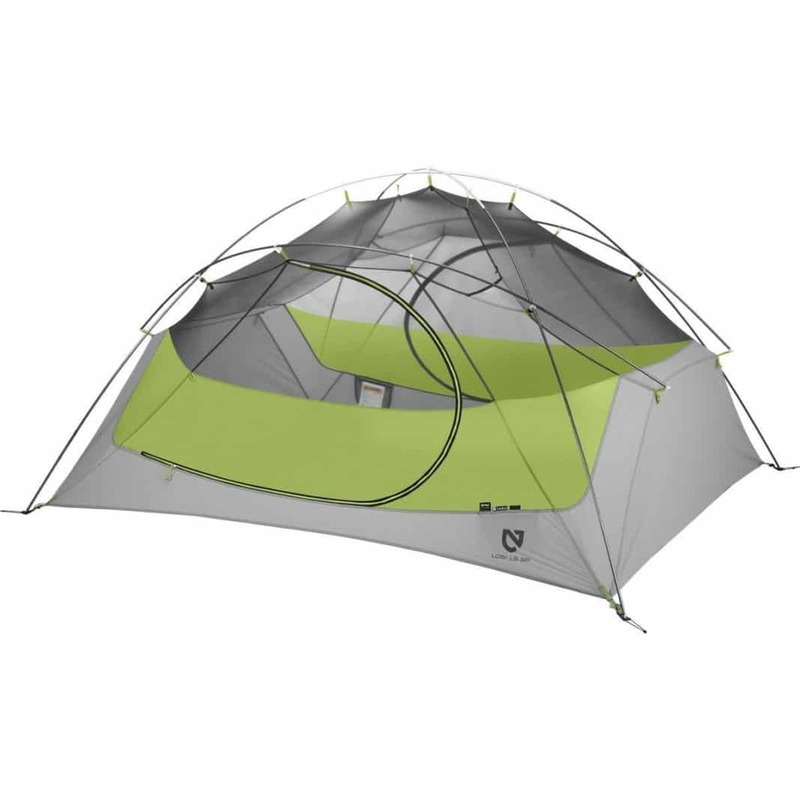 The Nemo Losi LS 3P Backpacking tent provides the perfect shelter for campers on the move. With a minimum weight of just over four pounds, this tent will feel lighter than air when inside your backpack. This means you can get to your destinations faster, as you won’t be weighed down by your gear. While many poles tend to be made of heavy materials, the aluminum poles of this tent feel very light. Despite the Nemo Losi tent’s airy design, campers won’t be unsatisfied by a lack of sturdiness in its structure. Campers spending time in various types of climates require a tent that can withstand all kinds of weather. Tents that claim to have heavy duty materials may fail to stay in place during strong winds. Other products might provide protection from rain and snow but lack the necessary ventilation for areas with warmer temperatures. Similarly, tents can be lightweight while offering little shelter from harsher weather patterns. The best tents should endure everything nature has to offer, from snow and rain, to wind and heat. 3.If you decide to buy the Nemo Losi Backpacking tent, you’ll fall in love with the product’s durable design. Since Nemo tents comprise of high-quality materials, the shelters will tolerate the weather wherever you decide to go. The tent’s Featherlite NSL poles contain press-fit connections, ensuring they’ll remain in the ground even on windy days. 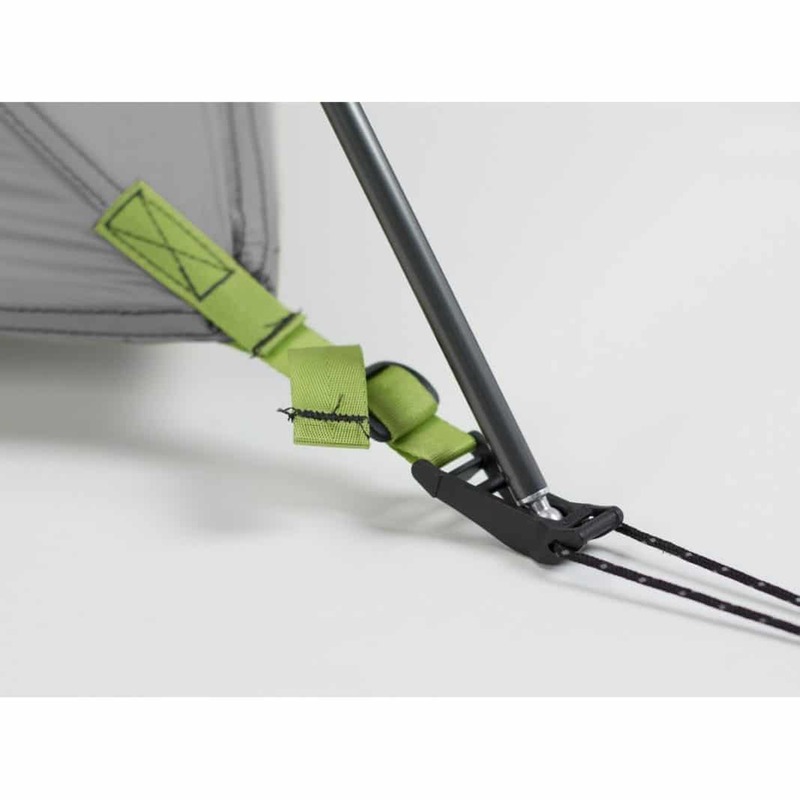 A Jake’s Foot corner anchor system also helps lock the poles in place, which keeps the tent fabric taut. The Nemo tent’s nylon material gives complete waterproof protection, even in heavy rain storms. This tent also doesn’t bring moisture inside, so you won’t feel muggy if the outside humidity remains high. For travelers who don’t know a lot about camping, finding a tent that’s easy to build might be hard. Many luxury tents come with a lengthy set of instructions, which can be difficult to follow. You don’t want to spend your precious hours frustrated because you can’t put up your tent. Likewise, backpackers and campers on the go require a tent that doesn’t take a while to set up. Sometimes, you just want to build your tent and hurry inside for a nice nap. Or, a speedy setup can be necessary in climates that quickly become harsh, such as on mountaintops or in deserts. Whether you’re a trained tent-builder or a newbie, a simple-to-build tent should be a priority. Nemo tents fulfill the desire for a shelter that can be set up in a flash. The Nemo Losi LS 3P contains designs specifically for helping to lessen tent building struggles. A symmetrical pole structure enables a simple setup, while a corner anchor system locks these poles into place. The included roll-up stuff sack also aids with repacking the tent. Camping outside in the middle of the summer should sound like an excellent idea. However, if your tent doesn’t provide proper ventilation, you might end up covered in sweat and struggling to fall asleep. With Nemo tents, you can be assured of having a steady airflow. The high tub floor in the Nemo Losi LS 3P allows for more breezes to reach you. 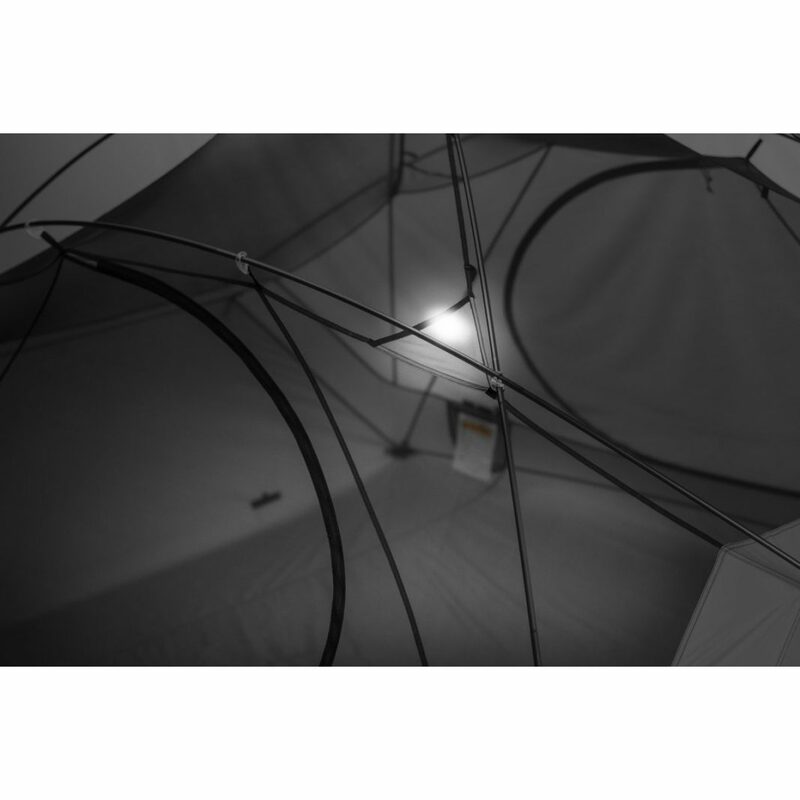 Mesh features on the tent also enable greater amounts of cool air to come inside. This means travelers can spend more time under the shelter of their tent, instead of leaving to get fresh air. You won’t feel suffocated while sitting inside any Nemo tents. In addition to amazing ventilation, the Nemo Losi Backpacking tent also includes extra spaces for storage. Two large vestibules provide areas to put your additional traveling gear, like hiking boots or bags. An additional storage sack provides an ideal spot to place more delicate items, such as glasses or clothes. These storage sites give travelers the ability to organize their items according to their demands. Travelers who purchased the Nemo Losi tent loved the product’s durable designs. Those who used the tent in rainy or muggy conditions appreciated the tent’s ability to keep them dry. Others loved that the additional ventilation enabled more comfortable sleeping while staying outside in the heat. A few travelers used the Nemo Losi on the beach, where the tent offered protection from the wind and sand. Many reviewers agreed that Nemo tents offer top-quality shelter from various types of weather. For families or large groups of travelers, the Nemo Losi provided the extra space they needed. No one felt cramped while laying out inside their Nemo tents. The vestibule features also let reviewers store items in a separate place, giving them more room to move around. Since Nemo tents tend to weigh very little, reviewers were additionally able to carry their tents without straining themselves. However, some travelers had difficulties building their tents, as the metal stakes bent easily when putting them in the ground. Another user found that over time, condensation developed on the interior of the tent, despite the material’s waterproof description. This tent will offer families or big traveling groups the space they need to spread out. 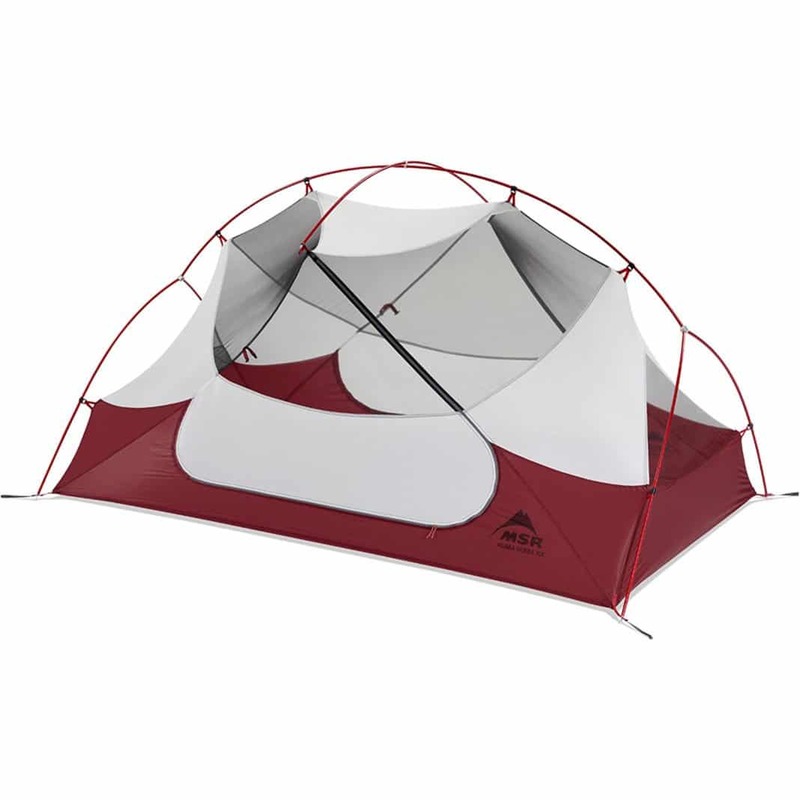 The Coleman Sundome 6 Person tent allows every camper room to sleep without feeling cramped. Two queen-sized airbeds can easily fit inside the tent for maximum comfort. As suggested by its name, the tent’s dome structure allows for quick and easy setup using continuous pole sleeves. A rainfly awning provides a shield from the rain and sun, while large windows let the sun in. The additional floor vent enables better airflow, so you can feel the breeze while inside. You can also store your traveling equipment in one of the interior pockets for greater organization. Traveling couples hoping to share a cozy tent together should choose the MSR Hubba Hubba NX. This two-person tent offers campers a lightweight shelter to carry with them throughout their journeys. Since the Hubba Hubba only provides room for two, families or larger groups should steer clear of this tent. 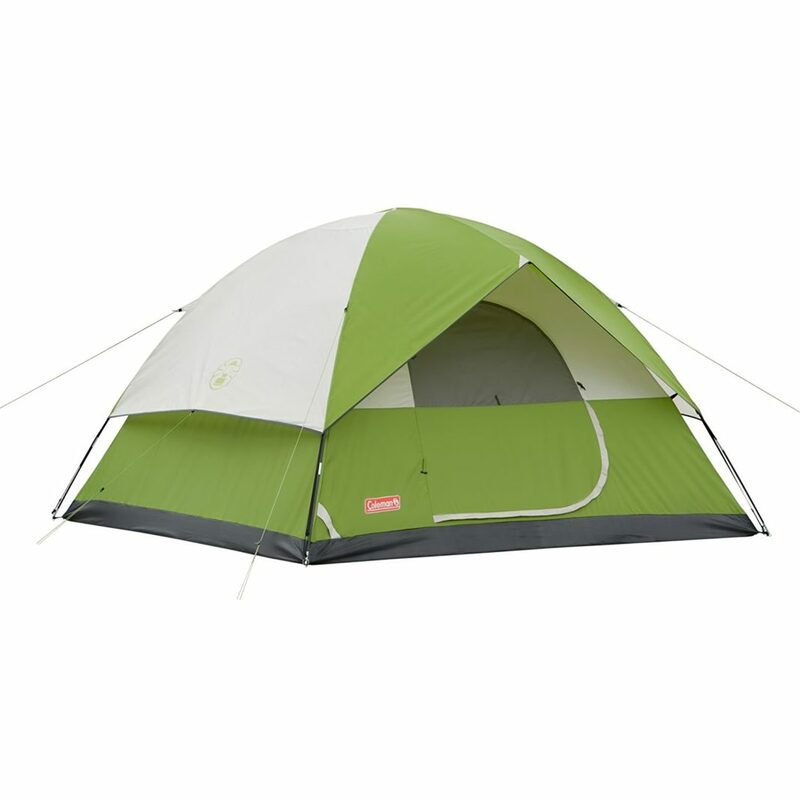 However, pairs of campers will love the tent’s smaller and easy-to-pack design. The freestanding nature of this tent also means you won’t have to waste precious time building it up. Mesh panels allow for ventilation, which should be a priority if you’re traveling somewhere warm. Additionally, a rollup rainfly lets couples stare up the stars from the comfort of their tents. The North Face Summit Series VE 25 tent remains an ideal option for those camping in harsh environments. Built to provide protection in below freezing climates, the tent will keep you warm despite the chill outside. A fully-taped, nylon bucket floor ensures brisk winds won’t get inside. The high-low venting also ensures greater air flow when staying in areas of extreme heat. Located on the front, a vestibule provides a spot to store any additional traveling gear. Corner pockets on the interior offer additional locations for keeping items off the floor. 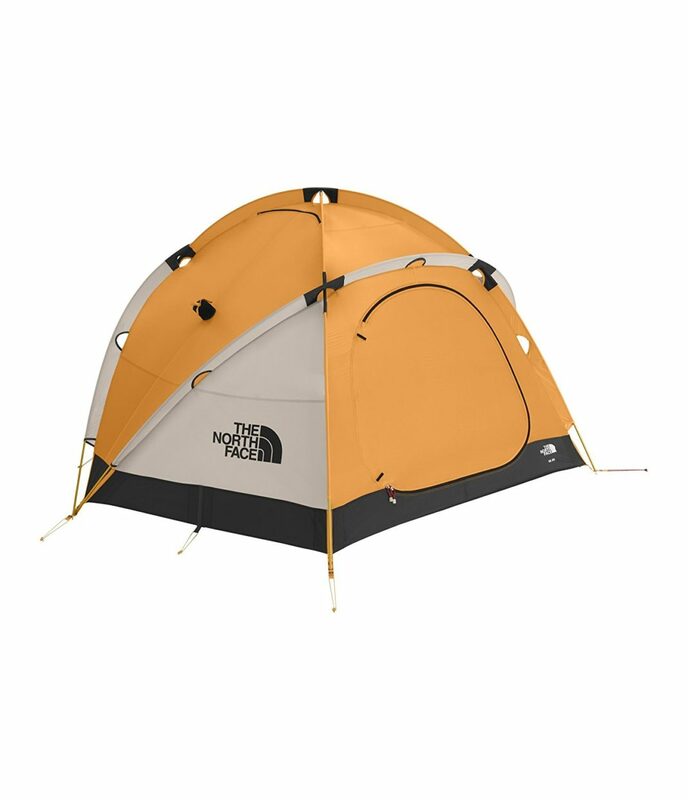 Despite its heavier weight, the North Face tent’s sturdier structure guarantees it will stay put. Sleep comfortably under the stars with Nemo tents. Whether you’re a seasoned or novice camper, finding the right tent for your needs can be a challenge. Depending on the size, weight, and setup difficulty, the perfect tent should satisfy all your shelter desires. With Nemo tents, travelers will be protected from the elements, regardless of their surroundings. Those newcomers to camping won’t struggle when trying to build their tent. Backpackers looking for a lightweight shelter should also search no further than the Nemo Losi tent. You’ll never want to embark on another outdoors adventure without a Nemo tent in your possession.